Some special ways in which Diwali is celebrated. We all know Diwali as the festival of lights. Houses are cleaned, there is shopping and many families make sweetmeats. There is a barrage of guests, and even you have to play the visitor when its your turn. Then there is a fiesta of light in the evening, what with lamps, Rangoli, fire crackers and lanterns. Some places burn effigies of Ravana, as the festival marks the return of Lord Ram after vanquishing the demon king of Lanka. But there are some places in India which celebrate Diwali a little differently. They epitomise the cultural diversity of our country. For them Diwali means something else, and they follow their own unique rituals. While the whole country rejoices to remember the story of the victory of good over evil, when Ram killed Ravana, there are some places that worship the ten headed king. So, while his effigies are burnt all over the country, Vidisha in Madhya Pradesh and Bisrakh in Uttar Pradesh mourn his death during Diwali. Bisrakh is believed to be Ravana’s birth place, and localites sly away to near by hustle of Noida to enjoy Diwali, as the villages dons the colour of black. Another community that believes in the righteous knowledge of Ravana are the Gond tribals from Gadchiroli. They have been demanding a ban on effigy burning. 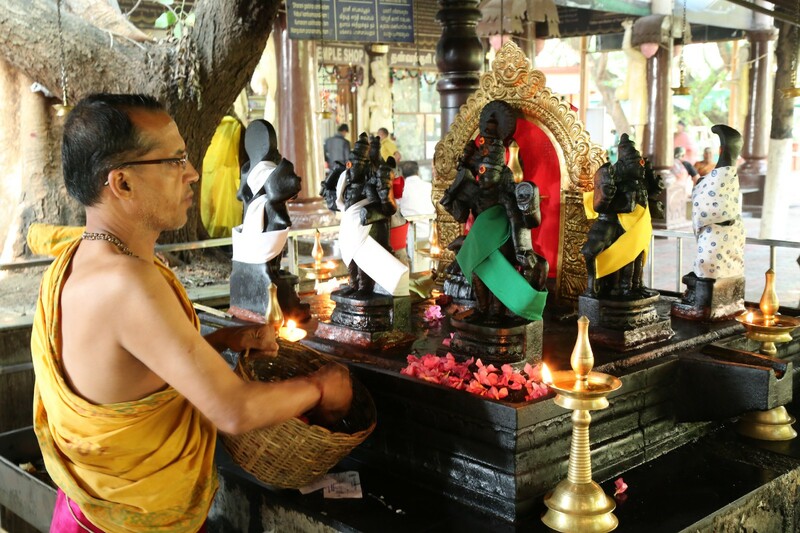 While the rest of the country worships the Goddess of Prosperity, Lakshmi, some people that Dhanteras is actually a day to commemorate Dhanvantri, the ancient academician, who invented the medical school of Ayurveda. In the southern states of India, ‘prasadam’ includes herbal concoctions on this day. While the tradition of Kaali Puja is popular in West Bengal, some places in eastern India have a darker or more tantric method of celebrating it. 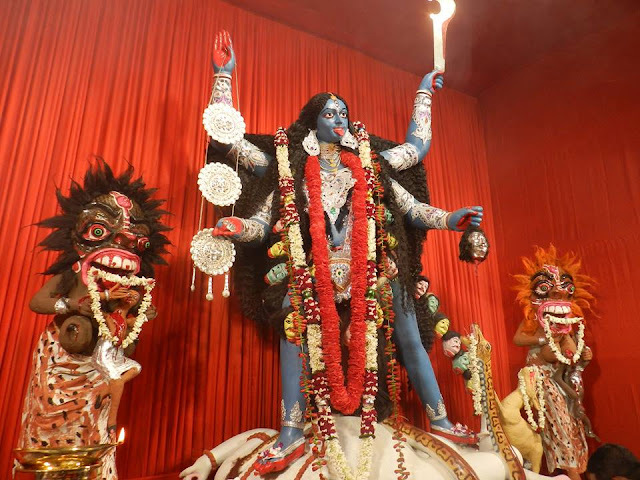 Howrah and Hooghly districts mark the Kaali Puja with the prayer of Agambagish, believed to be the most revered priest of Kaali Ma, the fierce form of Durga. They pray in mortuaries, sit in circles and surround themselves with blood smeared human skulls on Diwali. People in Odisha celebrate the Kauriya Kathi. They burn jute sticks to invite their ancestors from the netherworld. They believe this is the time when the sun moves away from the gates guarding the dead, and they burn Jute to send out an invitation during Diwali. In whatever form it might be, Diwali remains of the most prominent celebration, to remind people that ultimately it is the power of Good, that stand over the evil.